THE COURTYARD is located at 6 LIM AH PIN ROAD in district 19 (Hougang, Sengkang) of Singapore. THE COURTYARD is a Freehold Condo development consisting of 27 units. 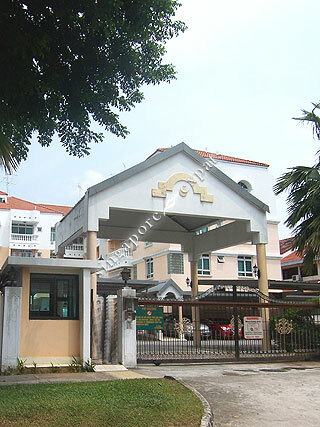 THE COURTYARD is completed / TOP in 1995 (estimated), developed by DUIT PROPERTY PTE LTD.
Educational institutions like DPS INTERNATIONAL SCHOOL, HILLSIDE WORLD ACADEMY, LYCEE FRANCAIS DE SINGAPOUR, XINGHUA PRIMARY SCHOOL, HOLY INNOCENTS' PRIMARY SCHOOL and XINMIN PRIMARY SCHOOL are near to THE COURTYARD. THE COURTYARD is accessible via nearby KOVAN, HOUGANG and SERANGOON MRT Stations. Near to Kovan Melody, Kovan Residence, Kovan Regency and the future Stars of Kovan condominiums but rental price is so much lower here.